My Charts - week 06/2019 – 7 february 2019 - can you Resist the Temptation? 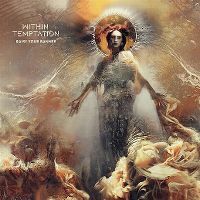 It’s the release week for Within Temptation’s long awaited seventh studio album “Resist”, and even though the band previously announced the release of a lyric video for a new single alongside the album release, no video came out thus far and therefor there isn’t an obvious debut atop the Singles Top40 for the band. However, their other four chart entries obviously benefitted from the album release, but none of them were strong enough to change something about the top. 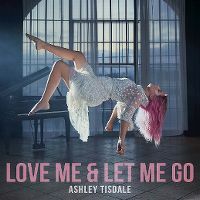 Ashley Tisdale’s “Love Me & Let Me Go” spends a second week at number one and Kerli’s “Better” sits at number two for a second week as well. 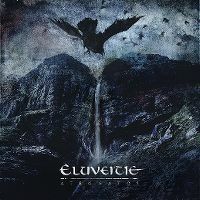 The highest of this weeks new arrivals makes the Top3 and that’s “Ategnatos”, the lead single and title track of the upcoming new album by Eluveitie, a folk metal band from Switzerland. “Ategnatos” will already be their eighth studio album, but they only appeared for the first time on my charts with their seventh release “Evocation II: Pantheon” in mid 2017 and so their new song is just their fourth chart entry but all of them reached the Top3 so far. The track makes its debut just two weeks after Cellar Darling’s “The Spell” (8-16) made its debut – Cellar Darling consists of three former band members of Eluveitie, and interestingly Eluveitie will release their album also two weeks after Cellar Darling’s album will come out. Other new entries this week: Billie Eilish is on an incredible run right now and already released a new single called “Bury A Friend”, which debuts at #18 as her fifth notation and third Top20 hit. Her full-length debut album is expected to drop in late March (between Cellar Darling and Eluveitie – what a coincidence!). There are seven more new entries on the charts this week, but all of them missed the upper half. Mikolas Josef is new at #22 with “Abu Dhabi”, while fellow ESC contestant Saara Aalto arrives at #32 with “Dance Like Nobody’s Watching”. Ally Brooke debuts at #24 with “Low Key”, becoming the last Fifth Harmony member to get a chart entry as a solo artist but immediately outperforms Dinah Jane who spent one single week at #30 with “Bottled Up” so far. Finnish singer ALMA is new at #25 with “When I Die”, Norwegian pop singer Astrid S gets a third entry within a few months as “Someone New” comes in at #30, Alvaro Soler’s new single “Loca” starts at #33 and “Bones”, a collaboration by Galantis and OneRepublic arrives at #35. Other talking points this week: As mentioned, it’s the release week of “Resist” by Within Temptation and as expected, it’s having a very significant effect on its singles. “Raise Your Banner” (13-5) and “The Reckoning” (22-7) both return to the Top10, with “Firelight” also having a big jump (24-13). Surprisingly, the most recent single “In Vain” declines a little bit this week (7-9). The two climbs for Within Temptation aren’t the only climbers into the Top10, as Alan Walker’s “Lost Control” also increases 11-4. Just outside the Top10, Sam Smith & Normani re-peak with “Dancing With A Stranger” (12-11). Mark Ronson & Miley Cyrus’ “Nothing Breaks Like A Heart” leaves the Top10 in its tenth week (9-12), just like Kerli’s “Savages” (10-14). Ariana Grande will release her new album already tomorrow, so it’s no surprise to see the “Sweetener” singles decreasing more and more. “God Is A Woman” is now the highest charting entry from that era, falling 21-23. The track reaches a big milestone this week, has it crosses 1,000 chart points, being her third song to do so following “Break Free” and “No Tears Left To Cry". Last but not least, after an impressive 14-weeks-chartrun, Eleni Foureira’s “Tómame” leaves the charts this time, making it the fourth longest charting non-ESC track by an ESC contestant ever, only behind “My Heart Is Refusing Me” (21 weeks) & “We Got That Power” (19 weeks) by Loreen and “Rainmaker” (17 weeks) by Emmelie de Forest. Within Temptation’s “The Reckoning” is the biggest climber while Dua Lipa’s “Swan Song” drops 14-27 as the biggest loser this week. 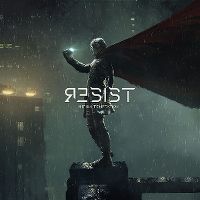 Within Temptation has released their new album “Resist”, which becomes one of the most obvious number one entry in a very long time this week and with around 300 plays it's also already the second most played album of the year. It’s their ninth chart entry, but only four of these entries were released since the album charts started with the other five entries being older releases making an entry due to concert effects or re-releases. Their previous album “Hydra” has spent an incredible 74 weeks on the Top20 and with its 4x Platinum certification it’s one of the most successful entries ever. 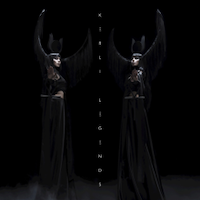 Even their live release “Let Us Burn”, which debuted in late 2014 as their last chart entry so far, is certified with 2x Platinum and spent 35 weeks on the charts, so even though “Resist” only just debuted, it is expected to be a huge contender for the album of the year and it will be a very interesting battle with Ariana Grande’s new album “Thank U, Next” coming out tomorrow and Kerli’s long awaited new album “Shadow Works” dropping two weeks afterwards. Ariana Grande’s “Sweetener” dips 1-2 and “My Indigo”, the solo album by Within Temptation’s frontwoman Sharon den Adel, makes the Top3 complete at #3 (3-3). 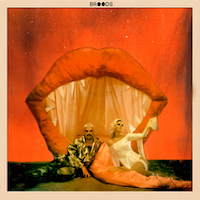 Other new and re-entries this week: Broods from New Zealand made a surprisingly big impact on the charts with their album “Conscious” three years ago, as it was their very first notation ever and immediately went Gold. The follow-up has a rather slow start now, as “Don’t Feed The Pop Monster” is new at #7. The success for Ashley Tisdale’s new single also impacts her old albums, with her debut “Headstrong” making a return to #13. The set came out a few years before the album charts started and therefor doesn’t have the chartrun it should have, as in theory it must be one of the most successful albums ever, having spawned four number one singles, including two 2x Platinum certified tracks and “Suddenly”, the currently most certified song of all time (6x Platinum). Within Temptation also benefit from the current success as their “The Heart Of Everything” comes back to #14. It’s one of the releases that came out prior the album charts started, but still made enough appearances to get certified with Gold this week. It’s already their second album to go Gold despite being released several years prior the album charts came out and therefor only made it to the charts following concert effects or similar events. A third and final comeback goes to Eluveitie’s “Evocation II: Pantheon” (#18). 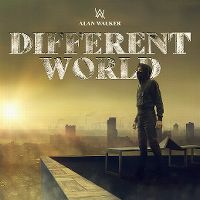 Other talking points this week: With the new single getting more steam, Alan Walker’s “Different World” also keeps on rising back (7-5) and even gets certified with Gold this week. The Dark Element’s “The Dark Element” (9-10) also gets a new certification, but the set goes 2x Platinum, making Anette Olzon just the tenth artist to have more than one album with a multiple Platinum certification. He's very charming, but this is just another recycle of his successful formula to me. There are at least three ALMA singers now (Finnish, French and now Romanian), which is pretty confusing. ''When I Die'' has some makings of a hit. Yes, I agree about Mikolas' new song. It's "Lie To Me" part three now. He has to come up with something else otherwise I'll be over him very quickly. Didn't hear about the Romanian ALMA yet but yes, it's getting confusing. I also guess you're liking that high debut for Eluveitie this week? "Ategnatos" is just powerful and moving, so a deserved high debut. Their album is one of the most anticipated releases of the year for me. What about you? Are you someone who celebrates these anniversaries? Admittedly, I'm pretty bad about celebrating anniversaries too but that's something I'd like to change. It gets easier to take those landmarks for granted as time passes (6 years, 7 years, 8 years, etc), but I'd like to start putting in the effort to make those occasions a little more special/memorable. Ha, so are you saying that you DO talk about your man all the time in real life? When you talk to your boss for hours early every morning, is it all about him...? I'm feeling completely that way too! On one side it's cool that it became a more common thing in my life, on another side I already felt kinda weird that concerts doesn't mean that much anymore when I went to see my two favorite bands last november. Speaking of concerts, I think I never asked you if you already attended concerts... so, did you? And if yes, who did you go to see live? Concerts are still rare for me, and that's another thing I'd like to change. I get too easily intimidated/put off by high ticket prices, but the experience is often totally worth the cost. I saw Pentatonix with Calum Scott and Echosmith last summer (but that was with my bf's family, since his cousin really wanted to go and the venue was close to where we live). The last concert I attended for an artist I really care about was Katy back in fall 2017. That's good IMO. Social media can be a lot of stress and bring a lot of negative feelings. I'm not someone who posts a lot of stuff (like, posting a pic every week is already a lot for me at the moment) so I haven't got many followers yet which feels weird, as I see some people having ten times as many followers as me and sometimes I feel less loved, if that makes sense? But on the other hand I also don't want to post something all the time like these social media people are doing, that's too stressful. So I'm probably someone who is in the middle of the road, but that already brings a few negative things with it. So it's good if you're not really into it, as you can live very well without it. **Nod** That definitely makes sense, and it's a shame, because I think some social media is deliberately designed that way. It taps into people's insecurities and competitiveness, pushing them to post more and more in order to get more and more followers. It's an awesome feeling to know that people find you attractive and interesting, but craving that validation can lead to a nasty cycle pretty quickly. I think it's absolutely possible to use social media without it turning into something ugly and obsessive, but it's a tricky balance to achieve. The random, unprovoked negativity from strangers can be a real downer too. People use the anonymity as an opportunity to be pointlessly cruel. Ugh, I still didn't listen to it. The last three weeks were weird, so many new releases and 2-3 of them didn't even make my charts like they would have in other occasions. Let's see if I'll finally check it out later this week. NoOoOo worries. "Sunflower" hasn't converted me into a Post Malone stan or anything I was pleasantly surprised by it, but I wouldn't say it's a "YOU MUST CHECK THIS OUT ASAP!" song. Exactly! Recommendations/discoveries are an important part of why I enjoy checking out personal charts, but there's usually music that I'm interested in on my own that takes priority over checking out suggestions from others. The "my" stuff, as you put it. Also, in addition to that, “God Is A Woman” crosses 1k points this week too while “Sweetener” should be her biggest album ever by next week or the week after – this really was a massive era for her on my charts! Woah! I mean, I guess I shouldn't be TOO shocked, since NTLTC was your No. 1 song of 2018...but it caught up to "Break Free"s points pretty fast, considering "Break Free" is several years older! Ah, the massive success of the Sweetener singles is especially interesting since I didn't think Sweetener overall was one of your favorite Ari albums...but it sounds like that's changed? Or is there a disconnect between the quality/enjoyment of the singles and the rest of the album? • Looks like Ashley isn't ready to let go of the top spot quite yet! • Billie hasn't really been on my radar (I gave "Lovely" a listen or two when people were charting it, but it wasn't something I'd put into high rotation myself). "Bury A Friend" is pretty intriguing, though! She certainly seems to have a lot of creativity/artistry. I'm all for talented young acts like herself bringing something fresh to the pop music scene. • I got a little confused by some of the comments above, but I believe the ALMA you have at No. 25 is the same ALMA from Charli XCX's "Out Of My Head" and Clean Bandit's "In Us I Believe," yeah? The "When I Die" video is my first time actually seeing what she looks like/finally putting a face to her voice. • I owe Akini for bringing "Bones" to my attention recently. It's a lot of toe-tapping, hand-clapping, sing-along fun! It really hooks me once that "if you're asking meEeEeE, oh how do you knoOoOoOw" part kicks in. How have OneRepublic fared here in the past? • I was a little surprised that "Anxiety" hasn't been charting at all, but I see Julia's EP doing alright here, so I guess that's just because "Anxiety" isn't technically a single? Yet another lovely chart, Tancel! Thanks for the link - this actually sounds very nice! And yeah, it sounds like something Inna could do. Aw, that’s actually very sweet of you. I used to do that at the beginning of my first relationship, I even put a lot of work into these things but stopped doing these things. Maybe I should pick it up again as well. Yeah, I think I do talk often about him. But I also feel like I depend too much on him. Like, I still didn’t really figure it out to be independent in a relationship as well. Oh, Pentatonix sounds very interesting. How was that one? Ah yeah, I already forgot about Katy but now I just remembered that we were talking about that one. I get your point with the ticket prices though, they really increased a lot over the years and even ‘little’ artist cost a lot these days. But it’s a compensation for them, they need to earn more from touring as they don’t earn as much as a few years ago with CD sales. So true! Especially for the young(er) people it’s really like that. My father for example has Facebook but he only uses it to post some pics and especially to keep contacts with some of his old friends. And that was the original idea behind Facebook. Similar with Instagram, it was actually meant as something to share pictures but it turned into a ‘who has the most, who is the best’-kinda thing. The negativity you’re mentioning is also a thing that became a little phenomenon in the past few years, no idea why there are people who do that. I’d never post cruel comments on social media, first because that’s not nice and second because I’m simply not that cruel. I wonder if these people really are that cruel. We talked about this before, but I think for me personally it also has to do with streaming… since I discovered Apple Music for myself, there’s already a lot more that I’d like to check out for myself, so since then I’m also having less time to check other things out. “No Tears” got a lot of points following a good Year-End effect, so yeah, it caught up pretty fast now. Also, don’t forget it’s about chart points, so once a song leaves my charts, it won’t get more points until it comes back, so even though “Break Free” came out many years ago, it didn’t get points in the last few years. Oh, good question – I guess I never said how I feel about “Sweetener” now, and it’s in fact my most favorite album ever by Ariana now. I love it so much. You’re right that I wasn’t too sure about it at first, especially because of the album tracks, but they all grew on me and what I love the most about “Sweetener” is how it flows so well as a whole but still has some fantastic standouts (= the singles). The new “thank u, next” is even more cohesive, but the standouts are missing for me (so far). Not yet but maybe soon. It’s such a busy time at the moment… several of my most favorite artists keep on releasing singles. I mean, Ariana just released her album alongside a new single (Break Up…), Within Temptation just released a video for another single of their newly released album and Kerli also released a new single last Friday. Glad you checked out “Bury A Friend”! “Lovely” was… well, lovely. It’s incredible how young she still is yet she already has so much success. I’m looking forward to her debut album next month as I’m slowly getting more and more into her as an artist. You’re right about ALMA – it’s the singer from Finland who was featured on Charli’s and Clean Bandit’s songs. Ah, now I’m interested to hear if you imagined her differently? The year continues with several big new releases coming from some of my most favorite artists ever: this week Ariana Grande, Kerli and Within Temptation all picked their next singles that debut on my charts, with Ariana Grande also having released her new album, Within Temptation still being on a high due to the album release from a week ago and the anticipation for Kerli’s upcoming new album release is also rising. In the end, it’s Dutch symphonic rock band Within Temptation who takes the crown with “Supernova”, already the fifth release of the album “Resist” and their fifth consecutive single to debut atop the charts! In total, it’s the bands 20th chart entry and 10th number one single, making them the artist with the ninth most number one hits. Also, considering this is already the fifth top hit from the same album, “Resist” becomes just the fourth album to do so following Ariana Grande’s “My Everything” (five #1s), Lana Del Rey’s “Born To Die” (six #1s, seven including the re-release) and Lindsey Stirling’s “Brave Enough” (five #1s), respectively the fifth with re-releases included, as Lady Gaga’s “The Fame” and “The Fame Monster” spawned five #1s in total as well. Kerli arrives at #2 with “Legends”, the third single of her upcoming new album “Shadow Works”. This is already the second time she misses out the top spot, as the lead single to the album also arrived at the second spot and never got to a new peak. Previously, the Estonian songstress only got #1s in her discography and “Legends” just misses out to become her 16th top hit, what would have tied her with Ariana for the artist with the most number one hits ever. Even though Ariana has released her fifth album “Thank U, Next”, the boost for her singles is shockingly non existent, with “7 Rings” falling 6-9 and the new “Break Up With Your Girlfriend, I’m Bored” only arriving at #7. This already marks her 33rd chart entry in nearly six years, with all of them reaching the Top10 but “Break Up” is also tied with “Santa Baby” (ft. Liz Gillies, 2013), “Let Me Love You” (ft. Lil Wayne, 2016), “Heatstroke” (by Calvin Harris, 2017) and “Quit” (by Cashmere Cat, 2017) as her lowest peaking entry so far. Other new and re-entries this week: Following “Girl” that just left the charts, Maren Morris picked “Common” as the next release of her upcoming second studio album. The track features Brandi Carlile and debuts at #15. It’s only mid february yet the first song related to the Eurovision Song Contest enters the charts this week. Back in 2010, Anna Bergendahl was chosen to represent Sweden with “This Is My Life” on the contest but failed to make the grand finale, however it ended up as the most successful entry from that year on My Charts. Nine years later she’s trying it again and competes on ‘Melodifestivalen’, the Swedish pre-selection for the contest, with her song “Ashes To Ashes” that arrives at #21. The Chainsmokers teamed up with 5 Seconds Of Summer on “Who Do You Love?”, which is new at #25. A rather disappointing debut has Marina, formerly known as Marina And The Diamonds. “Handmade Heaven” is the name of the long awaited lead single for her fourth studio album and only makes it to #29 – at least ten spots lower than the peak for all seven entries from her last album “Froot”. Khalid enters at #34 with “Talk” while Kelly Rowland arrives at #39 with “Crown”. There’s also one re-entry on the charts that belongs to Billie Eilish. The talented young singer is slowly but steady hyping up the release of her debut album, with current single “Bury A Friend” rising 18-13 in its second week. “You Should See Me In A Crown”, the lead single to the album, is able to re-enter at #22 due to that hype. Other talking points this week: Ashley Tisdale’s former top hit “Love Me & Let Me Go” falls 1-3. After an impressive four-month-run in the Top10, Lindsey Stirling’s “I Wonder As I Wander” is down 8-11. Sam Smith & Normani’s “Dancing With A Stranger” remains very stable just outside the Top10 (11-12). While the new “Supernova” and the two singles “Raise Your Banner” (5-6) and “The Reckoning” (7-10) are still very successful, “In Vain” (9-16) and “Firelight” (13-19) are falling quite a few spots this week for Within Temptation, though the latter gets certified with Gold this week. Last but not least, it’s also worth a mention that there are several big drops on the charts this time with Trinity The Tuck’s “The Face, The Body” (15-28), Cellar Darling’s “The Spell” (16-32), Mikolas Josef’s “Abu Dhabi” (22-35) and Dua Lipa’s “Swan Song” (27-40) all falling over ten spots. Billie Eilish’s “Bury A Friend” is the biggest climber while Cellar Darling’s “The Spell” is the biggest loser this week. 25 (NEW) The Chainsmokers & 5 Seconds Of Summer – Who Do You Love? The first big battle of the year is over and Within Temptation is the winner, as their “Resist” spends a second week atop the charts. It’s holding off Ariana Grande’s fifth studio album “Thank U, Next” that debuts at number two. Her last three studio albums – “My Everything”, “Dangerous Woman” and “Sweetener” – all debuted atop the charts, with the “Christmas Kisses” EP being a fourth chart topper for the singer. Only her debut album “Yours Truly” (#3) and her second Christmas EP “Christmas & Chill” (#2) didn’t reach the top, but still made the Top3, making “Thank U, Next” already her seventh Top3 hit since her breakthrough in 2013. Closing out the Top3 is Ariana again, as “Sweetener” dips 2-3, having spent a half year in the Top5 now. 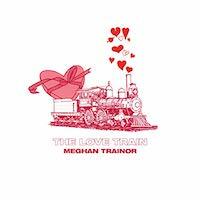 Other new and re-entries this week: Meghan Trainor released an EP called “The Love Train” that debuts at #4. Originally, the singer wanted to release her third album “Treat Myself” already last year but the plan got cancelled following several underperformances with the singles, so she went with an EP instead. Former Drag Race contestant Aja has the third and last debut of the week, as her debut album “Box Office” starts at #6. There are also two re-entries, both coming back due to the Grammy hype. Brandi Carlile got six nominations and won the three Americana categories for the song “The Joke” and her album “By The Way, I Forgive You”, which returns to #9. The set topped the charts for three weeks nearly a year ago. The other comeback belongs to Kacey Musgrave. The country singer has won several awards, including Album of the Year for “Golden Hour”. The record became her very first notation ever on my charts last year and returns to #12 now. It also gets certified with Gold this week, becoming her very first certification ever. Other talking points this week: Rita Ora’s “Phoenix” leaves the upper half for its first time in its 12th week (9-11). That’s quite impressive considering she hasn’t released a new single in a long time. Julia Michael’s “Inner Monologue” EP (8-13) and Broods’ “Don’t Feed The Pop Monster” (7-14) leave the Top10 as well, but after a much shorter time. The biggest drop belongs to “The Dark Element” by the band with the same name, as the set falls 10-18 after having returned to the upper half for a few again. I see a familiar one. One of the few good Melodifestivalen songs this year so far. Ari also debuted at #2 in my chart. <3 great album. Glad to hear that! I didn't hear the other entries for Melodifestivalen this year, but I loved Anna's last ESC entry so I checked "Ashes To Ashes" out. A shame she didn't qualify for the finale right away though. Hmmm...well, you live on your own, you have your own job/income, you have your own hobbies (like UKMIX and concerts), so you still sound pretty independent to me. In what ways do you feel you depend on him too much? Or is that something he said...? Eh, they're definitely talented, but it's hard to get SUPER excited about a bunch of acappella covers Glee was a bit different, since that was a weekly TV show with characters you grew to know/love, and the songs they covered often tied into the story arcs...but with Pentatonix, it was mostly just "cool, sounds great, but I'll go back to the original version now." It's impressive how massive they've becoming sticking mostly to covers (with a few original tunes sprinkled in), so kudos to them for finding such a winning formula! Yeah, Facebook has become SUCH a different beast over the past 15ish years. I remember needing a college email address to even join It's hard to know what all of those trolls are thinking, but for some of them, I imagine it's just a really easy opportunity to dump on other people instead of actually facing/dealing with their own problems. Making someone else feel worse online is a quick rush/cheap thrill and (briefly) distracts them from their own misery. That totally makes sense, and it's been similar for me! I've been checking out way more full albums compared to when I'd have to go out and purchase each new one individually. I guess I never said how I feel about “Sweetener” now, and it’s in fact my most favorite album ever by Ariana now. I love it so much. You’re right that I wasn’t too sure about it at first, especially because of the album tracks, but they all grew on me and what I love the most about “Sweetener” is how it flows so well as a whole but still has some fantastic standouts (= the singles). The new “thank u, next” is even more cohesive, but the standouts are missing for me (so far). Woah! I didn't realize things had changed that much, but I'm glad you've developed such a fondness for Sweetener. It's probably still my least favorite of hers (too soon too tell with TUN) but it's certainly not a disaster, and there's plenty to enjoy beyond the solid singles (like "Goodnight N Go," "Everytime," "Better Off," "Get Well Soon"). **Nod** She's done a great job building more and more buzz leading into her album release (especially with the timing of "Bury A Friend" and its video). Ha, well...I guess I expected closer to Charli XCX or Tove, since I associated her with the songs they've done together (and I think she even sounds a bit like Tove on the Clean Bandit track)...or closer to other European dance acts, like Inna. Thanks for the screenshot! I haven't been paying as much attention to them in recent years either. Their last big hits on my chart were "Counting Stars" and "If I Lose Myself." "Apologize" is a fun throwback that would've charted if I had one back then. That longevity for "Counting Stars," though! Ouch...but I kind of feel you there. 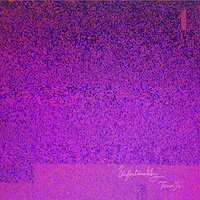 "Anxiety" deals with such a worthwhile subject, and the lyrics are really interesting/relatable...but, as a song overall, it just doesn't come together well. Julia seems to have a habit of trying to be more quirky/adventurous with her melodies/song structure (like on Selena's "Bad Liar," Lauv's "No Way," her own "Uh Huh," etc) which is commendable in a sense, but the end result doesn't always work well for me. • Your No. 1 certainly has a cool intro (before it starts sounding more like I'd expect from a metal track) Sharon's voice is as lovely as ever too! • Although I would've loved to see more Ari on your first singles chart after her album release, I am NOT feeling her single selections lately, so I can understand why she doesn't have anything inside your Top 5. I'm glad the public's eating them up (as they should've been doing for years now), but they're not Ari at her best for me. • Looks like Ari couldn't quite compete on your albums chart either. That's a rare miss for her here! Yet another chart that lights up my life, Tancel! Ah, I get your point! As you know (I guess?) my partner has an acapella band and he’s quite a big Pentatonix fan, so that’s probably one of the reasons why I got a little bit more into the band as of lately. Funny that you’re mentioning Glee as I was randomly watching a few videos about the show on YouTube over the weekend (like some ranking videos about the best performances and stuff like that). That was a hype that completely missed me back then, but it also wasn’t that popular over here while from what I remember it was HUGE in the US. As for the success, I feel like that’s also slowing down lately, I think they’re already past of their peak (it also doesn’t help they basically released or re-released a Christmas album for like five consecutive years now). Oh really? Haha… honestly, I’ve only joined in 2010, so I was actually ‘very’ late with Facebook (compared to most other people around my/our age). True. I just wonder if they’re really thinking like that or if they just like it that they can throw some shade towards others without consequences. …and is this a good development for you or not? Interestingly, it only re-entered once for four weeks, I think it was following the Manchester terrorist attack. Nothing ever since… maybe later this year following a concert effect. Ok, so while you’re surprised that it’s my favorite album of hers, I’m surprised it’s your least favorite! First, to be honest, her discography is already so strong, so it’s really tough to say which one is the best and worst. Second, it’s the most recent one (“Thank U, Next” is still too new IMO) so that usually gives it a bonus. Maybe I’ll think differently in a few years. I also need to revisit “Yours Truly” as I usually pay that one dust. Did you check out some stuff from their last album “Oh My My”? Hm. I forgot to mention that I actually love the message of the song, but as you say, as a song overall it does nothing for me. It’s so sad, as ‘Anxiety’ would be a fantastic theme for a song and they could have made a strong pop tune out of this. Good to hear that about the latest singles by Ariana, as I’m feeling completely the same. This era seems kinda lackluster when it comes to them, especially compared to the amazing single choices of her last three albums. I feel kinda sad these are the songs the public gets to know the most now, as she had so many gems in her discography yet it’s “7 Rings” or “Break Up…” that become her biggest hits? Nice that you’re enjoying “Who Do You Love?”. Unfortunately, after just one week, I’m already quite over it. I feel like The Chainsmokers became too predictable. I do wish it will end up as a hit though simply because of 5 Seconds Of Summer. Yes, it is. But it adds to the current picture on the singles charts. #2 may end up as its peak as someone else is releasing an album this week and something magical has to happen otherwise a #1 debut for that new release is 100% safe based on anticipation alone. Ariana Grande album is great! Didn't know Amy Macdonald had new material out! What has started as a new pop culture phenomenon and slowly also as a charts force to be reckoned with last year, the Drag Queens from RuPaul’s Drag Race really broke through now and five songs from contestants of the show are on the charts this time, including the new entry atop the charts. 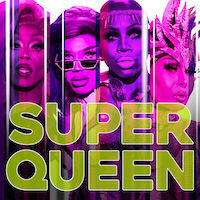 Following the finale of the fourth ‘All Stars’ season last Friday, the remix of RuPaul’s “Super Queen” featuring the finalists Monét X Change, Monique Heart, Naomi Smalls and Trinity The Tuck enters the charts at #1, being the second top hit for RuPaul following last years “Kitty Girl” remix. It’s the first entry for Monét, while Monique Heart is also charting with “Brown Cow Stunning” (26-17), Naomi Smalls got her first entry a few weeks ago with “Pose” (#4, four weeks) and Trinity The Tuck already entered the charts with “The Face, The Body” three weeks ago (28-24) and gets yet another entry with her new single “I Call Shade” (#29). Also arriving on the charts is “Go Fish”, the latest single by fellow contestant Manila Luzon, who was the clear frontrunner of the show but got eliminated by fellow contestant Naomi Smalls shortly before the finale. It’s a very busy week again with 11 new entries and two re-entries on the Top40. 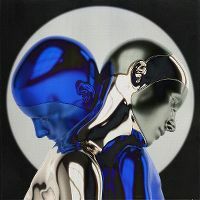 Last weeks chart topper “Supernova” by Within Temptation had another strong week and only slips 1-2, but another new entry fought for the top spot too: “365” by Zedd and Katy Perry. The German DJ/producer and the American songstress teamed up on that track and immediately make it to #3. While the singer is used to these peaks, this is the highest peak for one of Zedd’s entries since “True Colors” debuted and peaked at #2 nearly three years ago and also becomes his tenth chart entry overall. 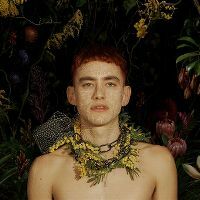 Other new and re-entries this week: Years & Years have teamed up with MNEK on their new song “Valentino”, which came as a rather surprising release last week and got put onto their latest album “Palo Santo” on streaming services. The song arrives at #5, becoming the second highest peaking track ever for both artists. After just one proper single, it’s very unfortunate to see Bebe Rexha already moving on from her debut album “Expectations”, as the set had a lot of potential. But the singer has decided to release a completely new track called “Last Hurrah”, which makes it to #6. Even though this is already her 12th arrival, it’s only the third time she’s completely solo on a song, and the other two – “I Got You” and “I’m A Mess” – became number one hits and both got certified with Platinum as her most successful singles ever, so the pressure for “Last Hurrah” is quite big. Still a lot of entries to go… the next one is “Dumb Blonde”, the third single of Avril Lavigne’s newly released “Head Above Water”. The track starts at #13 and features Nicki Minaj who gets her record-setting 40th chart entry ever with that feature. Following the Grammy exposure, Kacey Musgraves’ new single “Rainbow” debuts at #16, while Cardi B’s and Bruno Mars’ new collaboration called “Please Me” makes it to #20. Four years ago, British singer Jasmine Thompson released her debut single “Adore” and scored a surprisingly huge hit with it, as it ended up second on the Year-End-Charts 2015. Even though there were some more singles since then, none of them really became nearly as huge and the new track “Loyal” also doesn’t seem to follow that path (#35). The final debut of the week goes to the song “11 Minutes”, a collaboration by Yungblud, Halsey and Travis Barker (#39). Finally, the two re-entries are “The Joke” by Brandi Carlile (#31) and “Head Above Water” by Avril Lavigne (#32). Other talking points this week: All three singles by Kerli – “Legends” (2-4), “Better” (5-10) and “Savages” (17-28) – are falling quite a few spots this week, but they’re all expected to rise again as the Estonian songstress will finally release her long awaited new album tomorrow. The album release boost for Within Temptation seems to be over, as “In Vain” (16-25), “The Reckoning” (10-26) and “Firelight” (19-36) decrease a lot. “Raise Your Banner” is also down several positions (6-11), but the track already becomes the bands seventh Platinum certified single this week. Speaking of a Platinum certification, the smash from the end of last year, “Nothing Breaks Like A Heart” by Mark Ronson and Miley Cyrus, has to leave the upper half for its first time in its 12th charting week, but it also gets certified with Platinum (14-21). Last but not least, after an astonishing 43-week-chartrun, Ariana Grande’s “No Tears Left To Cry” leaves the charts completely for the first time. Monique Heart’s “Brown Cow Stunning” is the biggest climber while Within Temptation & Jasper Steverlinck’s “Firelight” is the biggest loser this week. Within Temptation remain undefeated as “Resist” spends a third consecutive week atop the charts. Ariana Grande also spends a second week at the runner-up spot with “Thank U, Next”. 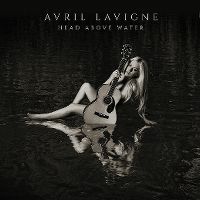 There’s at least some change in the Top3 with the arrival of Avril Lavigne’s sixth studio album “Head Above Water”. It’s already been five and a half years since the Canadian singer released her last studio album simply called “Avril Lavigne”, that peaked at #2 and went Gold. “Head Above Water” is just her third entry overall, as she made her debut on the album charts with the fourth set “Goodbye Lullaby”, that topped the charts for three consecutive weeks in early 2011. Other new entries this week: Avril is directly followed by Terror Jr, a trio of musicians who released their debut album called “Unfortunately, Terror Jr” in late January and make it to #4 this week as their very first notation ever. Following Aja’s “Box Office” (6-15), Manila Luzon is already the next former Drag Race contestant to make the album charts as she arrives at #8 with her second album “Rules!”. A year and a half after its original release, Billie Eilish’s mini album “Don’t Smile At Me” not only reached new heights in several official charts all over the world, but the set also makes its chart debut on My Charts at #13 now. Billie’s full-length debut album “When We All Fall Asleep, Where Do We Go?” comes out in late March and is expected to be one of the bigger hits in 2019. Other talking points this week: Ariana adds another consecutive week in the Top5 to her “Sweetener”-run, as the album only dips 3-5 this time. Similar to the Singles Top40, there are also two new certifications on the Album Top20 and both are Platinum certifications as well. First one is Brandi Carlile’s “By The Way, I Forgive You” which stays in the upper half (9-10) and becomes Brandi’s first Platinum certified release ever. Her previous two albums “Bear Creek” (2012) and “The Firewatcher’s Daughter” (2015) both went Gold. The other newly Platinum certified album is “Phoenix” by Rita Ora (11-16). It’s the singers second Platinum certification overall, as her single “Anywhere” also reached that milestone. Last but not least and rather unsurprisingly, Meghan Trainor’s “Love Train” EP tumbles down 4-14 in its second week. 8 (NEW) Manila Luzon – Rules! nice debut for 'LAST HURRAH', really excited for new stuff by Bebe! Cute song, I like this collab. "Super Queen" definitely isn't as fabulous as "Kitty Girl", but it's not awful. "Supernova" is good, though. I added it to my Spotify library. The other debuts in your top 5 are good. I was elated that Years & Years and MNEK teamed up! I don't think "365" is special, but it's cute. "Last Hurrah" is a song I liked more than I thought I would. "Dumb Blonde" is meh. "Please Me" is forgettable. Quite predictably, my favourite song on your chart, by some margin, is "God Is a Woman". Glad it's stuck around after all these months. Glad you're enjoying "Last Hurrah" as well! It's another great pop song and I hope she keeps on doing these pure pop bops!